We were moved by Silvia’s life ambition – to create a successful coaching and mentoring practice to lift up young women across the country, despite their circumstances. She’s not just another loud-mouthed, hokey motivational speaker. She’s a little quiet, compassionate, and so humble. We took that softness and the spirituality that guides her life and her work and lead it with it, developing a verbal and visual storyline that she now uses to connect with her clients and community. 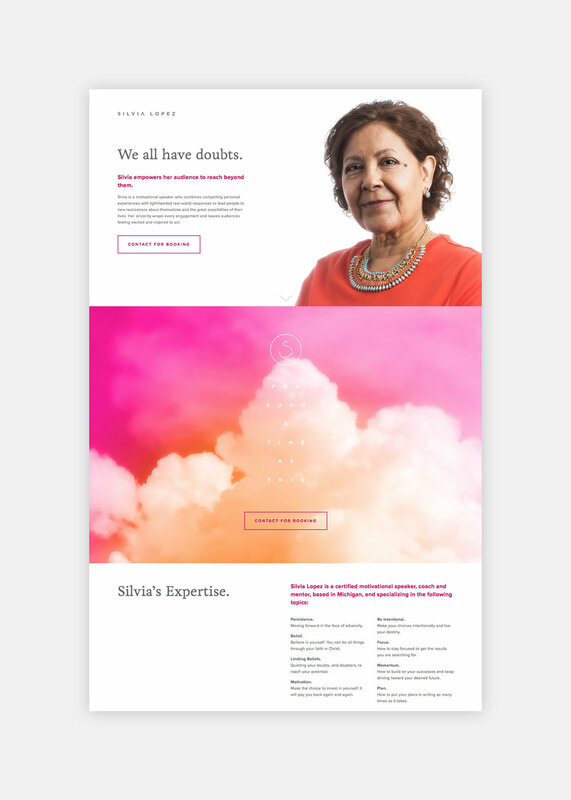 Silvia’s a new business owner, but she’s positioned to take on the experienced competitors in her field with grace and ease. Because, that’s just who Silvia is.